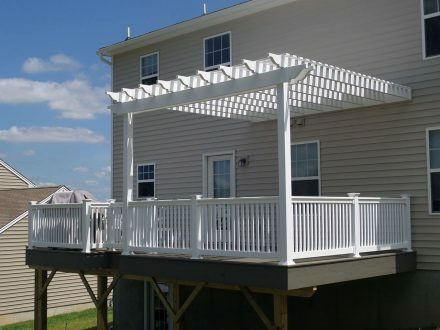 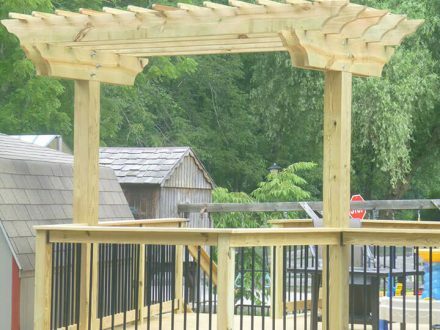 Smucker Brothers Construction has built many decks in Pennsylvania with pergolas attached. Having a pergola on your deck offers several advantages and can increase the value of your property. 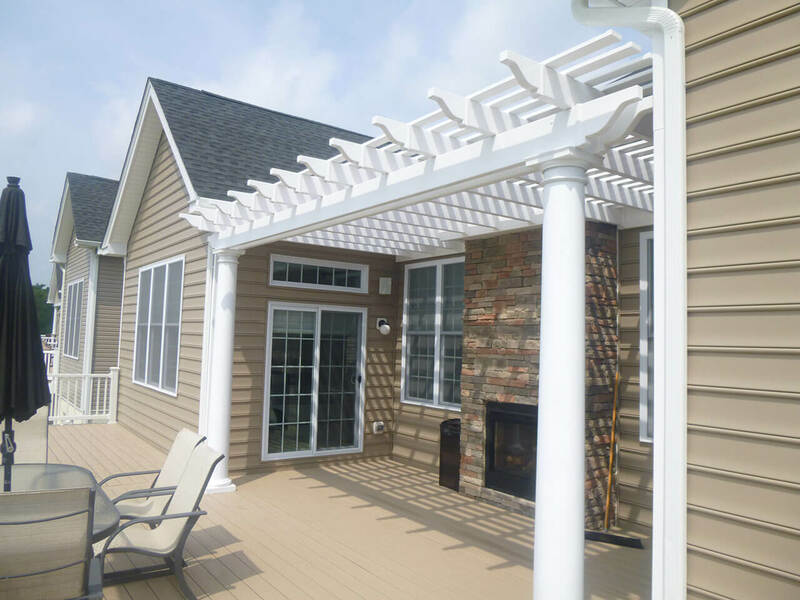 Decks with pergolas add a nice finishing touch to your outdoor space and offer additional shade for a sitting area. 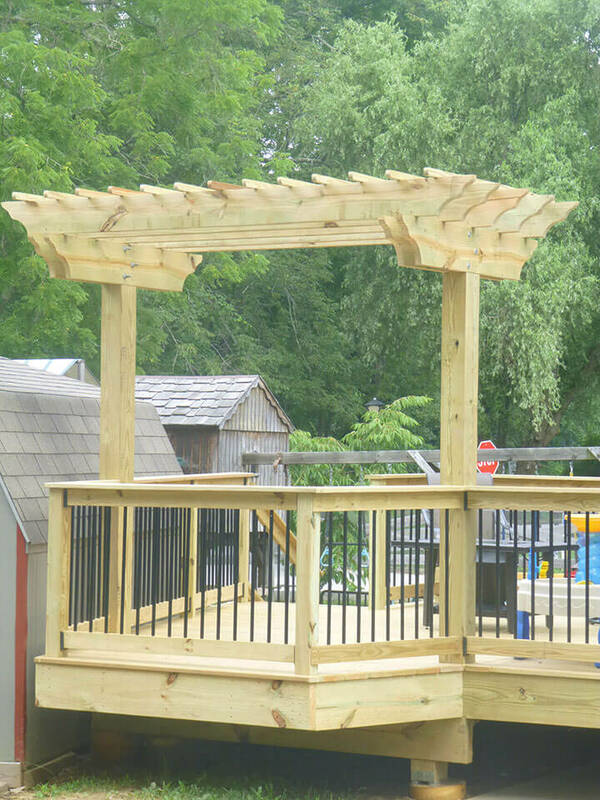 Pergolas are also often utilized over tables or grilling areas. Vinyl and wooden pergolas are available. 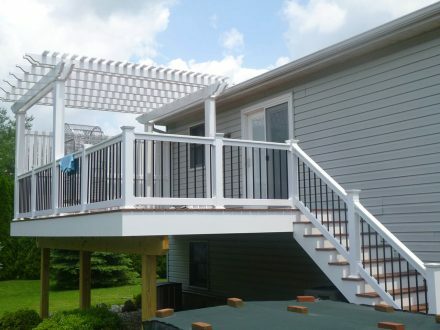 Wooden pergolas are custom built on-site and vinyl pergolas are installed during the deck build.